Immunservice’s customised i2Cult Complete Medium is a ready- to-use medium for the culture of IL-2-dependent cells. 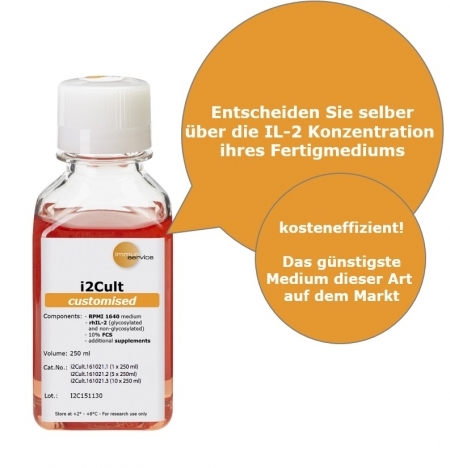 With this customised medium, you can specify the desired IL-2 concentration (IU/ml) in the medium yourself*. 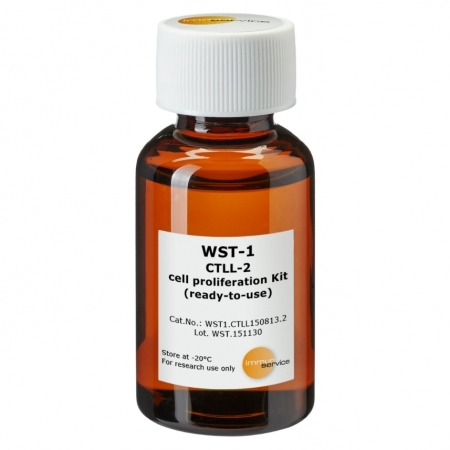 This will allow you to receive a ready-to-use medium with the optimal IL-2 concentration required by your specific cell type. 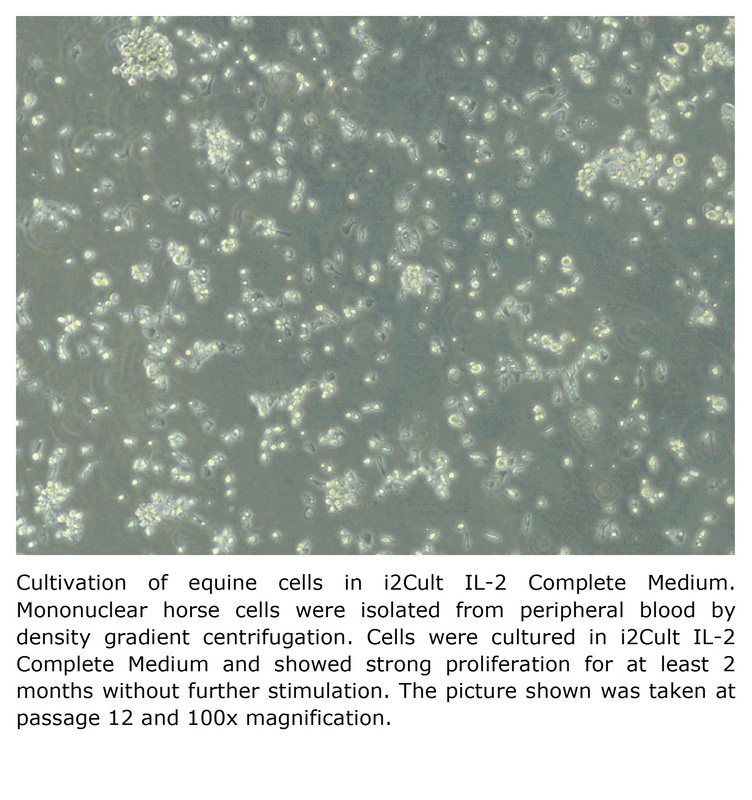 This optimized cell culture medium contains as the Interleukin- 2 source a mixture of three isoforms of Immunservice’s recombinant human IL-2 (rhIL-2, expressed in CHO mammalian cells): glycosylated tetrasaccharides, glycosylated trisaccharides and non-glycosylated trisaccharides. 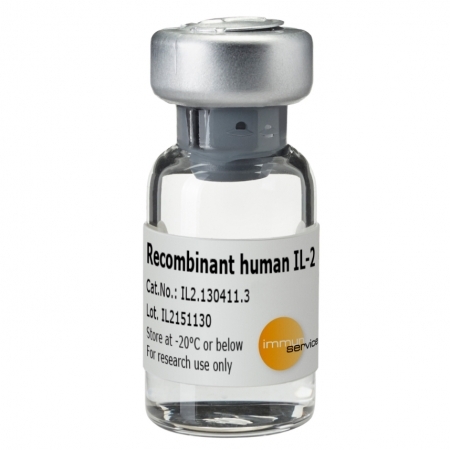 rhIL-2 is biosimilar to natural IL-2 and particularly stable. 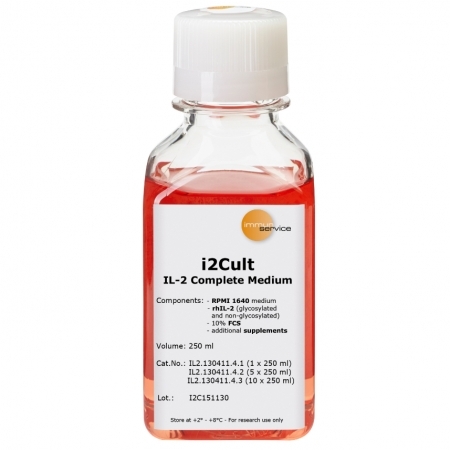 The customised i2Cult Complete Medium is supplemented with FCS and contains special additives, which support the optimal proliferation of IL- 2-dependent cells. 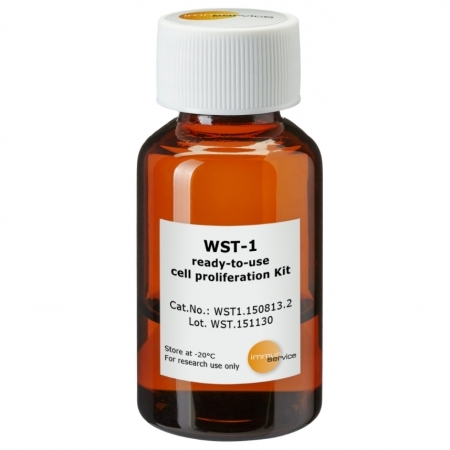 The medium contains no antibiotics and is free of bacterial and fungal contaminations. 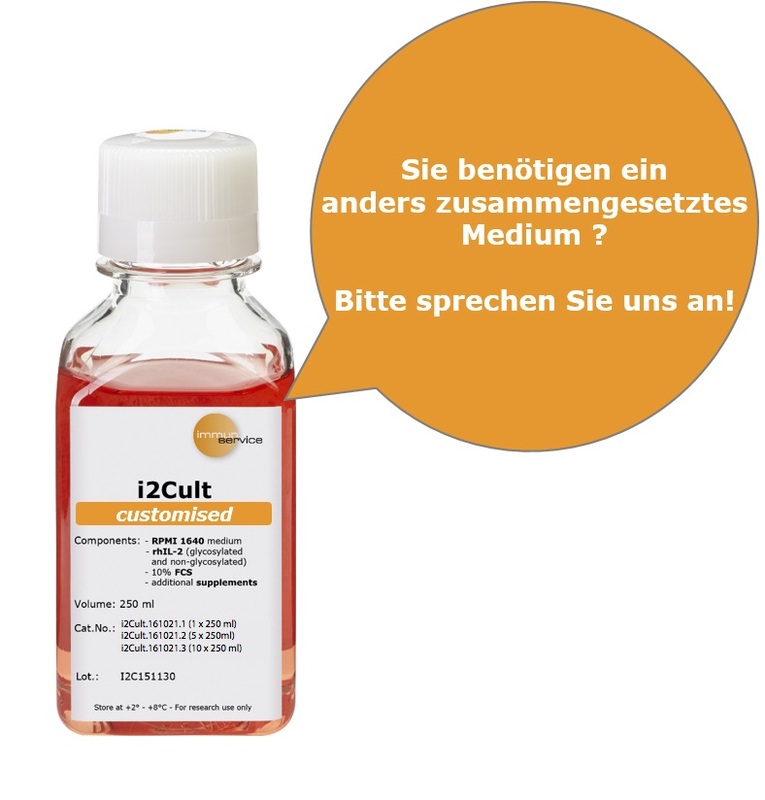 Please specify your required IL-2 concentration (IU/ml) in the “Order Notes” comment field when ordering. Please note also our Ordering and Shipping Information.